TemasekTech is now offering Dedicated Server and VPS in our new Chicago Datacenter. By providing services in this new facility, TemasekTech will be able to offer increased flexibility to clients requiring unique space and power requirements at unparalleled values in the Chicago market. 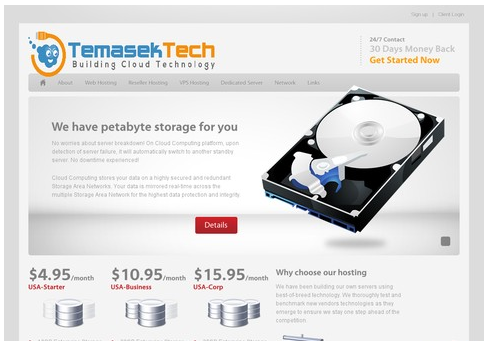 TemasekTech, now also offering vps on Virtualizor node on some of our USA and Hong Kong Node. Virtualizor is a powerful web based VPS Control Panel. VPS users can start, stop, restart and manage their VPS using a very advanced web based GUI. TemasekTech official New Website Goes Live Now! For a new starting of 2017, TemasekTech official New Website is Live! Version 4 and New Company official logo. After years of using the old logo, TemasekTech is now official launch our New Company Logo for year 2017.